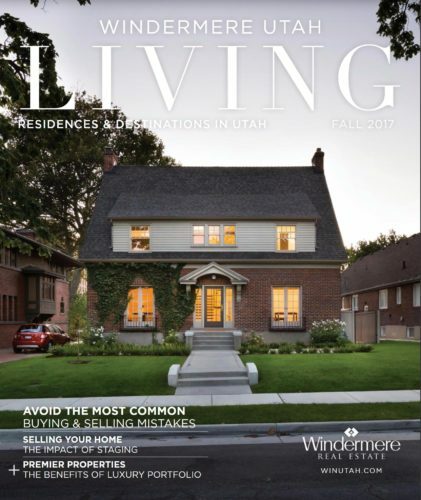 Windermere Utah Acquires MediaOne Real Estate and it was quite a shock to many of us. It has been my long term attitude that the brokerage brand does not make the agent. I believed that the skill of the agent and that agents work ethic had everything to do with his or her success and therefore the success of the agents clients. That attitude took a right turn not long after I licensed in Utah. In Utah I licensed with a similar company to those I was used to, one that gave no support but also gave me almost 100% of the commission. Upon the constant urging of Kathleen I joined MediaOne Real Estate. She saw and valued the tremendous newspaper advertising presence they had in the Deseret News and The Salt Lake Tribune. In my interview I discovered the lengthy list of backup support they provided besides their advertising. Joining MediaOne was a no-brainer. Because of my volume I became the target for almost all of the Salt Lake City brokerages recruiters. “Sorry, I am very happy and no thanks” was always my response. So into my business life comes the announcement. “we have been acquired”. It turns out to be good news. Windermere was not a new brand to me, my daughter was a “Windermere agent” in Seattle. In that market Windermere is one of the market leaders. The good news is that instead of losing benefits for my clients and myself we have additional benefits. I still give up a larger share of commission as in MediaOne but the marketing benefits are added upon. Windermere’s presence for referrals and marketing is multi-state. They publish a quarterly magazine of our listings to high end and targeted income earners. Their web savvy is state of the art. It was critical to all of us at MediaOne Real Estate to keep our newspaper advertising. With the acquisition it is better. I have to admit that moving to MediaOne countered my “brand names don’t help” attitude. I can see that it’s another step of progress to now be with Windermere Utah.